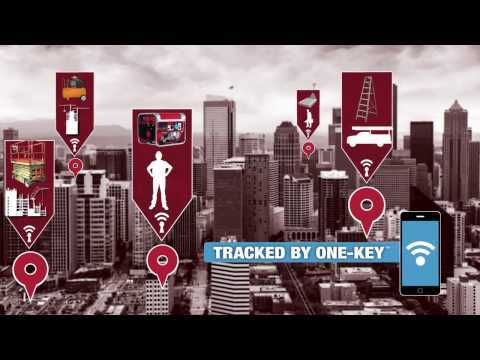 Tracked by ONE-KEY™, the TICK™ Tool and Equipment Tracker allows you to track the location of any item in your inventory, regardless of what it is. The TICK™ was designed with the jobsite in mind and is the first tracking device built to survive the abuse your tools and equipment take every day. Tools and equipment take abuse on the job. The TICK™ is designed specifically to survive in these conditions. The durable weatherproof design protects internal components from water and dust while UV rated plastics keep the TICK™ from getting brittle when exposed to sunlight for long periods of time. If you're having trouble locating a missing item that has a Tick™ attached, report the item as missing in the app and expand your search with the help of the ONE-KEY™ network. When any phone with the ONE-KEY™ app comes within range of your item, you will receive an updated location. Download the Milwaukee ONE-KEY™ app. Glue, Screw or Rivet on anything. Activate TICK™ & start tracking.